20.4 Acres With 3-Bedroom Home In 4 Parcels - Pymatuning Lake Area - ABSOLUTE AUCTION, all sells to the highest bidders on location: TUESDAY - SEPTEMBER 18, 2018 5:30 PM. REAL ESTATE:PARCEL #1: Updated 3-bedroom home features living room, kitchen w/side door entrance, 2 bedrooms and full bath. Large bedroom and computer room upstairs. Wrap around deck. Full basement. Gas hot water heat, 100-amp elec. Detached garage. Situated on 2.349 acres w/ approx. 330 ft. frontage on Slater Rd.PARCEL #2: 2.936 acres of land w/ stately trees. Approx. 412 ft. frontage on Slater Rd.PARCEL #3: 2.931 acres open land w/ approx. 336 ft. frontage on Slater Rd.PARCEL #4: 12.27 acres open & wooded land w/ pond at the rear of the property. Approx. 125 ft. frontage on SR 7 just north of Slater Rd. 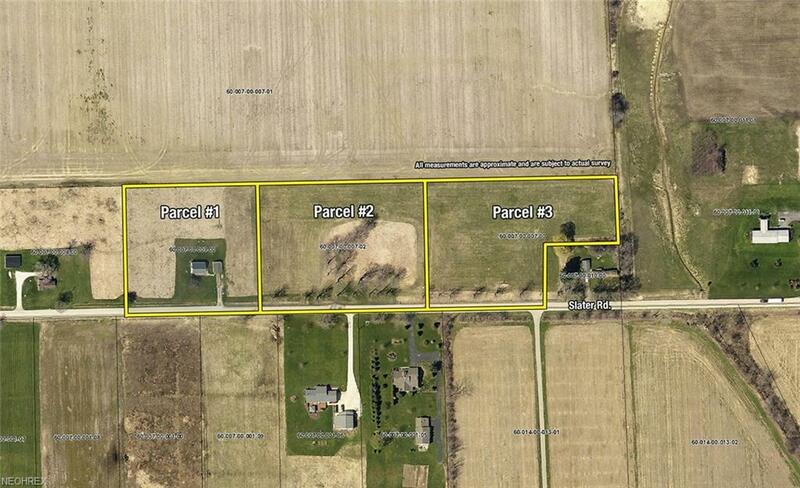 Parcel #4 will be sold from parcel #1 6377 Slater Rd.NOTE: Property is located approx. 1 mile from Pymatuning Lake. Parcels will be sold separate and not together.Other Parcels see MLS #'s: Parcel #1 - 4031604, Parcel #2 - 4031607, Parcel #3 4031611, Parcel #4 - 4031616.